As I reach my late 50s, I found it harder and harder to follow conversations in noisy rooms. I was continually asking soft-spoken folks to repeat what they said, and seriously considering turning on closed captioning while viewing television. However, I didn’t have thousands of dollars to invest in a hearing aid. Enter the LifeEar CORE Bluetooth hearing aid. 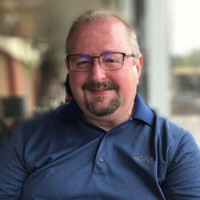 When I was offered the chance to review the LifeEar CORE, a smart hearing aid that I would fine tune for my hearing issues using my iPhone, I first asked them to repeat what they said, and then I jumped at the chance. 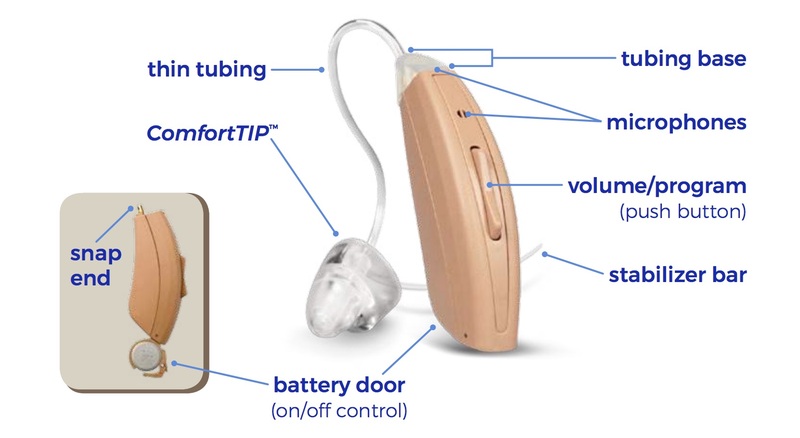 The LifeEar CORE is a small hearing aid that users can customize by using a Bluetooth-connected iPhone or Android smartphone. The device is small, and easy to fit to your ear. The LifeEar CORE hearing aid sizes in at 1.375″ X 0.25″ X 0.5″ the device is light, and almost unnoticeable when you’re wearing it. The main electronics of the hearing aid are contained in a small casing that fits behind your ear. A small, almost invisible tube goes to the earpiece, which fits into your outer ear canal. I found the LifeEar CORE to be almost invisible in daily use. Most folks didn’t notice I was wearing a hearing aid, and I wear my hair quite short. When I took the LifeEar out of the box, I found the included quick Start Manual and other instructional materials informative easy to follow. I inserted one of the included batteries. Enough batteries for around one month’s work were included, and when you need more, the batteries are easy to find at Walmart or online at Amazon. The batteries lasted on average 4-6 days before needing to replace them. From what I’ve read, that’s about average for a hearing aid of this type. Once the hearing aid was turned on, I connected it via Bluetooth to my iPhone 8 Plus by following the prompts in the LifeEar app I downloaded form the App Store. 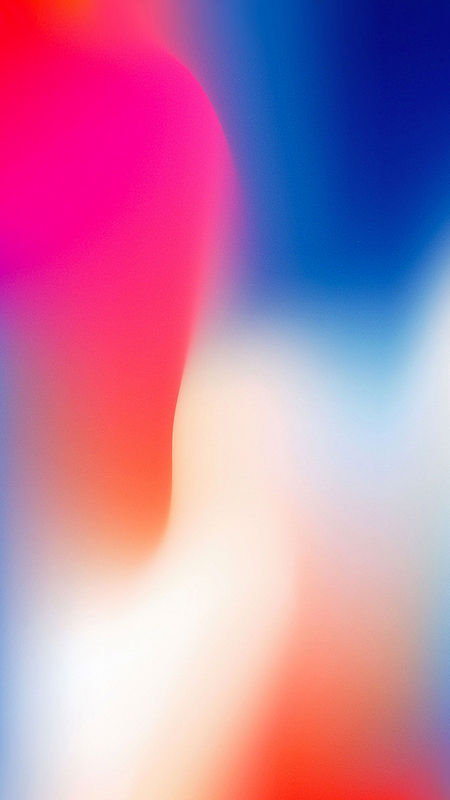 Once it was connected, I followed the app’s prompts to setup the device. 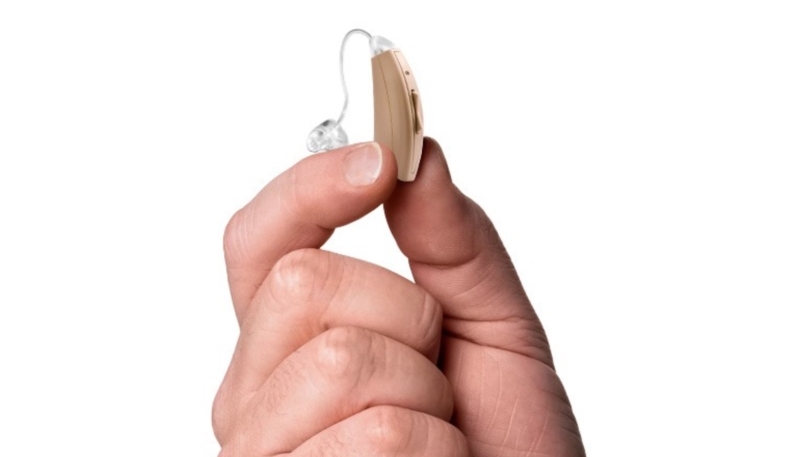 Using the LifeEar app, the user responds to a set of tones, which helps fine tune the LifeEar CORE hearing aid to their own unique hearing needs. The test only takes around 10 minutes, and is easy to follow along. 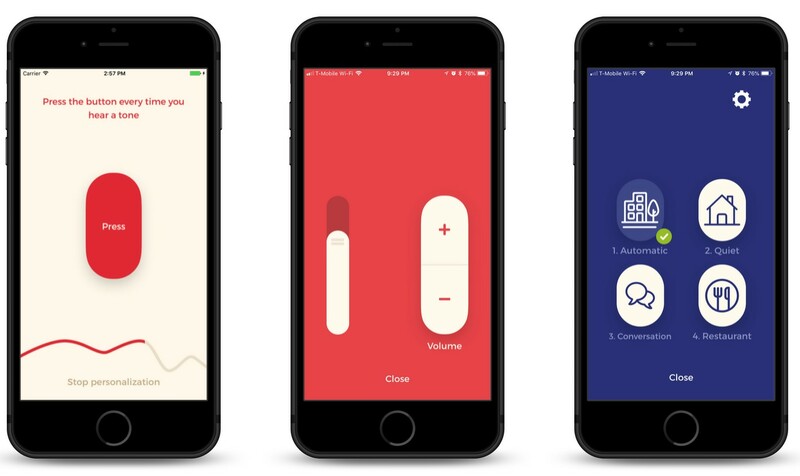 The user responds by tapping on the screen when they hear the tone. 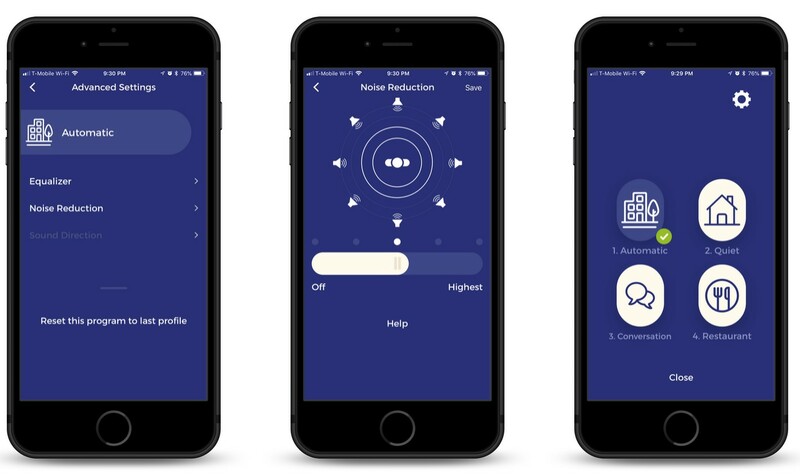 The app then uses the results to create a customized hearing profile, using a National Acoustic Laboratories algorithm that considers the hearing profile as well as the user’s age and gender. I found the test easy to use, and the resulting hearing aid settings worked great for me. Once the settings are in place, you can use the app to adjust the volume of the hearing aid, or use preset programs in various situations. Automatic – Works best when you’re “out and about,” in other words, when you’re going about your daily business, and will be in differing sound environments. Quiet – for when you’re in a “quiet” environment, such as when you’re at home, watching television, using your Mac, just puttering around the house. Conversation – The best setting for when you’re in a conversation, in groups of three to five people. Restaurant – The best setting for a noisy place, such as a restaurant or bar. This setting offers maximum noise reduction. I found that although I used all of the settings while testing the LifeEar CORE, the Automatic setting worked best for most situations. I will note that the Restaurant setting did indeed aid me in understanding my dinner companions and the wait staff. I spent much less time asking folks to repeat what they said. The app also allows adjusting an equalizer and noise reduction settings to allow fine tuning for any situation. Users can also use the app to manually adjust the volume of the hearing aid by tapping the “+” and “-” buttons in the app. Volume adjustment can also be performed by using the volume buttons on the hearing aid itself. It should be noted that the hearing aid works fine without using your iPhone or the app, but you lose access to the preset hearing programs. During the weeks I have used the LifeEar CORE I have found that I am understanding conversations around me much better, and that I am asking my wife, “what’d they say?” much less while watching a movie or television show. The LifeEar CORE is quite comfortable, and I actually do forget that I am wearing it. Occasionally I forget to take it off before going to bed. I wear glasses, and I expected the LifeEar to sit uncomfortably between the frames and my ear, but all is well. The LifeEar CORE is an excellent way to address any light-to-medium hearing issues you may have. The LifeEar does an excellent job in boosting the sounds around me, allowing me to concentrate on listening instead of straining to hear what’s being said. It is always advisable to visit a hearing professional for a hearing test, and folks that are not comfortable with using an app to adjust their hearing aid, or who may have questions about the process, may want to go the usual route of visiting a pro. However, users who are comfortable with a bit of a “do-it-yourself” approach to improving their hearing, and who enjoy the customizability that comes with such an approach will appreciate the LifeEar CORE’s flexibility. The LifeEar CORE is available for your left or right ear for $799, or both ears for $1,599. There is a 45-day risk-free trial. Shipping inside the U.S. is free. For more information, or to purchase the LifeEarCORE, visit the LifeEar website. Disclosure: I was provided the LifeEar CORE, free of charge, to review. All opinions expressed are strictly my own, based on my experience with the product.